Posted by bioss at 11:38 pm on August 14th, 2009. Posted by bioss at 11:28 pm on August 14th, 2009. Check the Personal Firewall settings on the PC (it may block the incoming ports that are used by VNC). 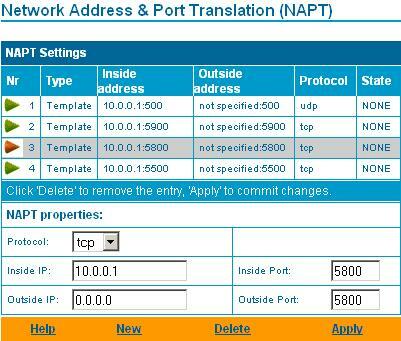 If the PC is behind a router or firewall, you may need to enable port forwarding. More information about NAPT mode for SpeedTouch gear is available on the SpeedTouch posts. Posted by bioss at 2:34 pm on July 1st, 2009. Categories: support. Tags: remote assistance, speedtouch.